So why go vegan? Well first and foremost veganism is against animal abuse and not wanting to contribute to the torture and harm of animals…. and secondly you can go vegan for environmental or health reasons – but the problem with that is that vegan choices aren’t always the most healthy or the most environmentally friendly, so then there can be a clash of what you prioritize most. I’m vegan because I don’t want to contribute to animal cruelty. When I see pictures of me and my dog I think, Why treat one animal with respect and love and eat another? All animals are worth love and respect. All animals want to live. And unfortunately there is no humane way to kill an animal that doesn’t want to die. Animals don’t have voices so they can’t speak up and say they want to live. Many use the argument that they eat local or organic animals/dairy/eggs… which sure, is great when the animal is alive. But at the end of the day, the farmer still kills the animal when it doesn’t want to die. Think of it this way, imagine you have a relatively good life for 2-3 years but then someone comes along and says, that’s enough living for you, now it’s time to die… But you don’t want to die, but you have no choice. That’s how it is for the farm animals. 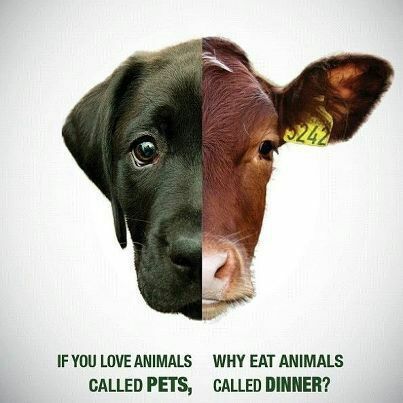 If you aren’t ok with people eating dogs or horses, Why are you ok with people eating chicken, cows, pigs? They still want to live. It’s just that we’ve grown up eating meat… we’ve become desensitized and brought up to think it’s normal and ok. It’s what everyone else does. However, just because others do it doesn’t mean it’s ok.
Why love one breed of animal or certain animals but kill and eat others? 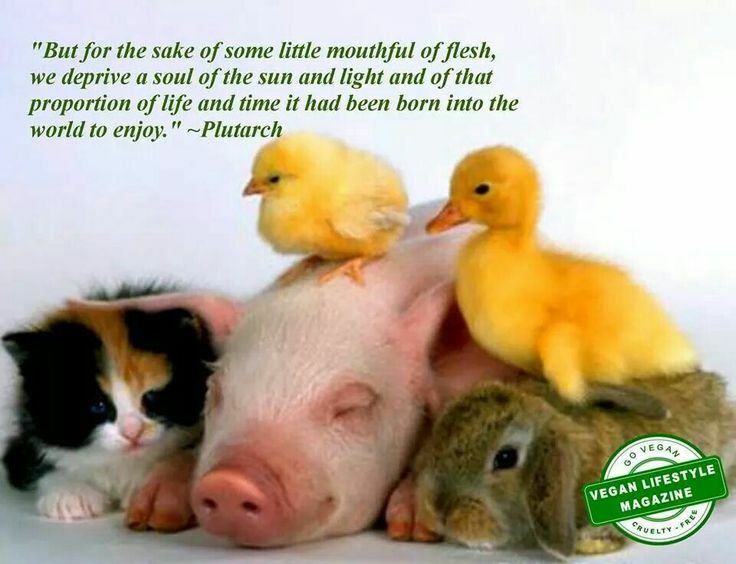 The thing about veganism is that you don’t have to love animals, you can still make the connection and realize how strange and barbaric it is to kill and eat other sentient beings? It’s also important to remember that most people aren’t raised or born vegan. Many make the connection and go vegan when they have done research and made the connection. It’s ok to change your mindset, to grow and change. To be against something you once did yourself. I ate meat in the past, I ate alot of it (you can read here). And at times I get messages from people who followed me in the past saying how strange it is that I could go from eating so much animal products to now being against it… that I’m hypocritical. But I don’t see it that way. In the past I wasn’t educated about veganism, I didn’t make the connection or know better. It’s ok to change and grow, that’s what life is about. We learn and we change and our values and ethics can change as learn more. And people should not be ridiculed for that. I never understand people who are conservative and think “This is what we’ve always done/always thought this way” So why change it…. But life changes, society changes and people change. K mean if society never changed women wouldn’t have the right to vote, there would still be slaves and homosexuality would still be seen as an illness. Of course those things still exist unfortunately but we are growing as a society and realising just how messed up those things are and were changing it…. just like we’re realising how messed up it is to eat animals. Let’s be ok with change and actually make a change for the better!!!! When you look at these cute animals what so you think? That you want to kill and eat them or that you think they’re adorable and should be allowed to live? Also i want to point out that with veganism i am aware that many people can’t go vegan and my aim is not to convert everyone to veganism, however to inspire people to make more plant-based and vegan choices in their life and diets. The thing about a plant based diet or a vegan lifestyle is that many DON’T even try…. it’s one thing if you can’t eat 100% plant based because of illness or even economic reasons. But it is another thing to not even try…. to not even try to switch your dairy products to non dairy, or cut down on the intake of meat and fish or try to eat fully plant based meals a few times a day/week. I know many people who can’t go vegan because of illness but they still try to eat mostly vegetarian… but then there are those who are healthy and economically stable and won’t even try to cut down on meat or dairy because they aren’t willing to change. THAT’S the type of people who need to be more aware…. those of you who can’t go vegan should never feel guilty or ashamed, you can only do your best…the fact that you are trying and making conscious efforts to eat more plant based or live a vegan lifestyle is amazing and you are doing so much more than others who could most likely live a healthy vegan lifestyle pain and problem free but aren’t even willing to try it! Things definitely are changing. Here, the Government health people are recommending that we eat at least two non-meat meals a week, something they have never done before. Ithink there is real concern about the amount of saturated fats people are consuming and we are being told to limit our intake of red meat and processed foods such as bacon and sausages. I think this is a good thing as people are going to try non meat meals and experiment with different foods – which in turn could lead to them eating more of the same. Change has to start somewhere and I think this is a good opportunity for more people to discover vegetarian/vegan food!